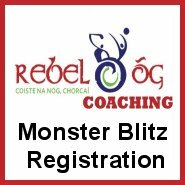 Following on from the Munster Fé 15 Super 10’s Competitions held in May, Rebel Óg Coaching are now offering the chance for clubs to enter a Fé 14 Super 10’s Competition in either hurling or football in August. The competitions will be run on the official development squad dates through August to allow clubs play competitive games when the county panelist is playing with the county squad. 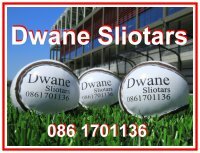 It is played at 10 a side and is open to all clubs with a choice to play football or hurling. The teams must contain players on the age and therefore Fé 13 boys are not eligible. The games are fast, action packed and competitive. The novelty of playing 10 a side has proven a big hit with the players in the past as it is a refreshing change to the 15 a side game. The games will be fixed for the dates Cork Fé 14 teams will be active through August. Clubs have to be open to travel but the venues and fixtures will be devised to limit travel where possible while giving clubs the opportunity to play against unfamiliar opposition. It is intended that the games would be competitive and the finals would take place on the 27th August. Clubs who are looking to give boys game time where the mainstream fixture programme would be not providing enough games. If entering this competition, would impact on your club completing its league programme, than we would encourage clubs to prioritise the league programme. Clubs who would have boys on county squads but would like to give the rest of the panel game time in a fun, novel and competitive game structure may also find this very beneficial. Games are played at 10 a side and the games are played 21 to 21 using u12 size portable goal posts. A decision on blitz format or individual, one off games will be confirmed once entries have been received. Clubs should contact their local GDA if they have any questions on this event.If your happy to enter, then just complete the form below and click submit.! It is important to have your homework done before completing this form. Please ensure that you have the required number of players available to you in advance before committing to this competition.